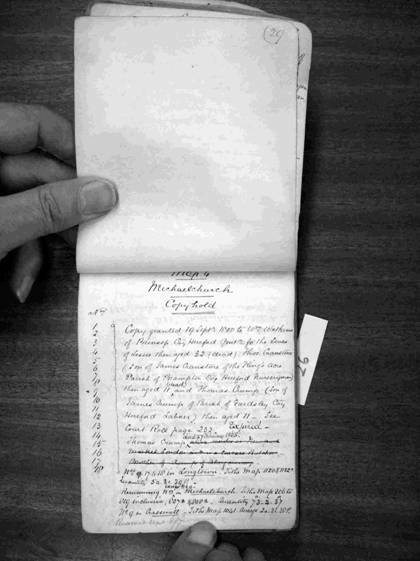 A small (approximately 5x4 inches) hand stitched book apparently for use by the Agent both in the office and on his travels, containing manuscript notes on the various properties of the Marquess of Abergavenny’s Herefordshire properties in Ewyas Lacy. The writing is mainly in ink and in a clear hand. By internal evidence it would appear to have been written in about 1864 with later annotations. The arrangement is geographical and follows the set of maps in the ’New’ survey (see D1583/187). 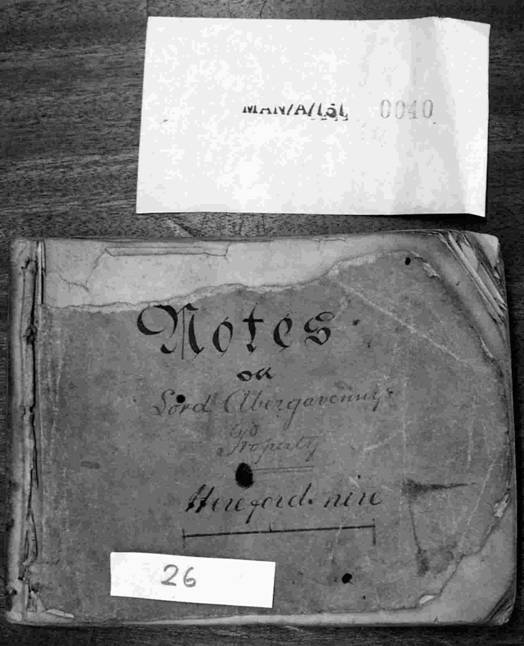 The item is catalogued as: Notes on Abergavenny property in Herefordshire with Alphabetical index, reference to book of Maps, copy and leasehold properties etc with misc notes. There are several index pages to names of the copy and lease holders but these are not reproduced here.